On the Hungarian television market the public service broadcasters (television, radio and news agency) are merged into a single organization, called Duna Media Sevice. 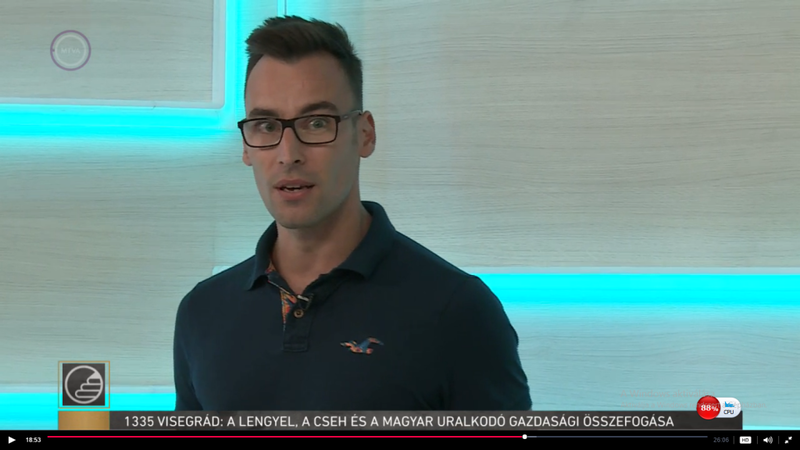 There are seven national public channels, each of them working with different, specific profile (Duna is the main or flagship channel, Duna World is for the international – Hungarian speaking – audience , M1 for news, M2 for the young audience, M3 works as a retro channel, M4 for sports and M5 for education and culture). The leading commercial channels in Hungary are RTL Klub and TV2. Both of them operate as a group and has a lot of other (premium / cable / thematic) channels. A lot of documentary channels are available in Hungary (from Discovery and Discovery Science to National Geographic), and among them there are historical / documetary channels as well (History, Viasat History). The audience reach of documentary / education channels is cca 2-3° percent (according to AGB Nielsen). In parallel with the fundamental transformation of the field and structure of Hungarian national public television channels, the scope and scale of non-fiction television documentaries and programmes dedicated to historical topics on Hungarian television has changed over the past 5-6 years. 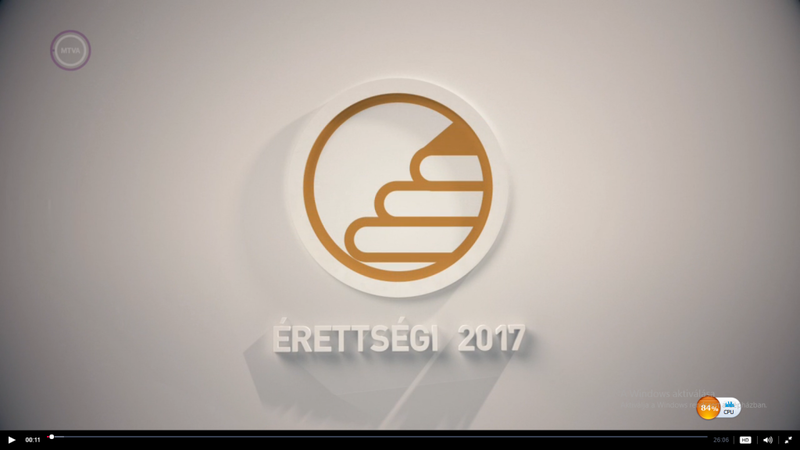 2016 Autumn brought new changes as in mid-September Hungarian public service television launched its newchannel, M5 which is dedicated to educational and cultural issues and programmes. Based on the experiences of the first weeks the structure of M5 is like this: daytime they show educational programmes and documentaries (especially nature / geographical films from domestic ones to David Attenborough’s classics). Afternoon the focus in on language education programmes (English, German, French, Italian, Spanish, Russian). In prime time they show Hungarian and international arthouse films and popular television series (House of Cards), followed by theater broadcast and/or television recordings of theater performances. There are no specific programmes on this channel. However usually Duna channel airs those historical documentary films and series which are made with the financial support of ‘Hungarian Media Maecanatura Programme’ (public service content / media support program of Hungarian National Media and Infocommunications Authority which has special support schemes for historical documentaries, educational film, television films, short films, animation and online content as well). As fas as the first two-three weeks show there are not too many programmes in M5 which is dedicated to the representation of history and/or the education of historical themes, periods, topic and problems. 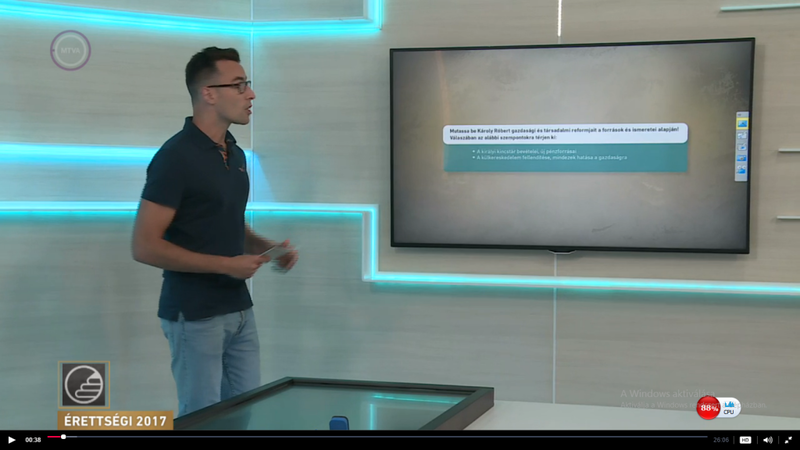 There are two programmes dedicated to historical and cultural education and one programme which deals with the secrets and events of the XXth century (Soviet) history. This programme is aired at every afternoon. The episodes are 26 mins long. The aim of the programme is to help students prepare for high school graduation exams. Each day of the week is dedicated to one of the subjects of the graduation exams (Hungarian language and literature, history, mathematics, etc.). History and historical topics are discussed at Mondays. 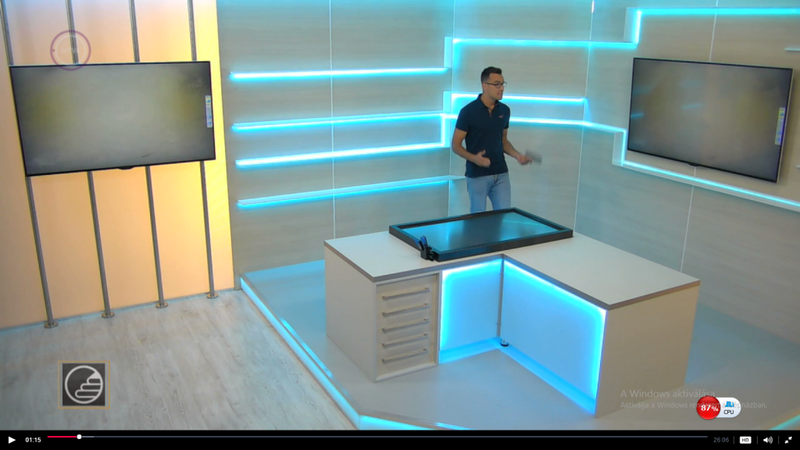 The programme practically does not differ much from an ordinary high school history lesson unless it takes place in the studio: a monitor replaces the chalkboard but the focus is on the teacher / narrator who recites what students need to know. The monitor is to display facts and figures, quotes, images and clips from documentary films. Sometimes the most important information is highlighted in a news ticker but it is rather a rare and nonessential visual effect or tool. This programme is aired at every Saturrday afternoon, the episodes are 26 mins long. The programme is basically nothing more than a series of talks and discussions in a studio. It is organized around two well-known public intellectuals, László Tőkéczki and Mihály Takaró. Both of them are open and eminent supporters of the government, besides Mr Takaró had several times controversial statements and utterances which were criticized as anti-semitic. In every episode the two narrator/public intellectual has a talk on a given historical-cultural topic or period, usually referring to some historical anniversary (the life and memory of count Istvan Szechenyi, an outstanding figure and politician of Hungary’s so called Reform Era in the XIXth century or the ’13 Martyrs of Arad’ – the memory of Hungarian rebel generals who were executed after the defeat of thee Freedom fight of 1849). This is an educational documentary series that contains 25-minute long episodes. The creator, editor and leading figure of the series is a prestigious university professor of 20th century history, Prof. Miklós Kun. He is an expert of the 20th century history of the Soviet Union/Russia, and the programmes he creates, more or less, always concentrate on topics connected to Soviet history. The series concentrates on political history and stresses the fact that it is based on the decades long historical research that has been conducted by Prof. Kun in Russian historical archives, and on interviews he personally conducted with witnesses of the political events. One of the speciality of this series is that it concentrates on the lesser known details of important historical events. Presents numerous historical documents, and especially concentrates on the wide variety of personalities who were behind these events. Often these persons were not the main players, but their personality, individual character, taste of style, and also emotions had dramatic effects on the main players and major events. In this sense the overall logic of the programme intends to demonstrate the task the historian faces when tries to decipher the meaning of historical events by piecing together snippets of information (documents, motivations, emotions, circumstances etc.). The episodes broadcasted this summer concentrated on the history of the communist dictatorship in the Soviet Union and in Hungary during the 1950s, and the history of the 1956 revolution in relation to Soviet politics (the 60th anniversary of the revolution will be celebrated this October). Besides public television channels there is only one regular historical programme on the two major commercial channels of Hungary. This programme is aired weekly and deals withsome thrilling-intriguing-exciting events of the 20th century. The topics of the programme almost always connected exclusively to the (cultural and political) history of the 20th/21st century. 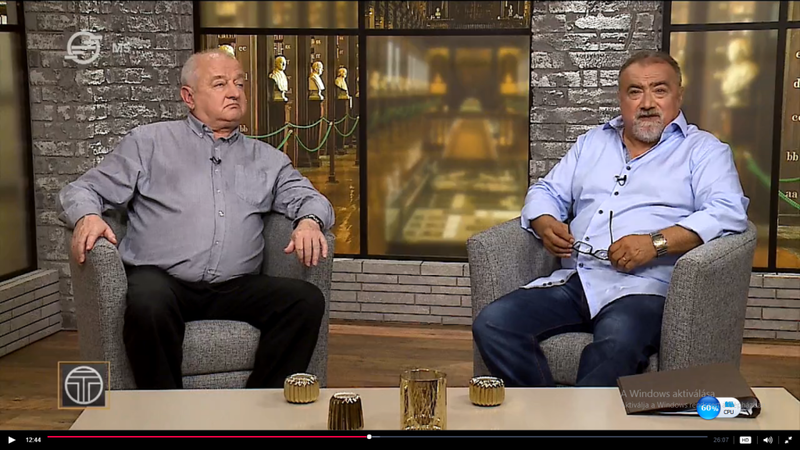 Most of the episodes deal with Hungarian or Hungary related questions. The history and culture of the socialist era is frequently represented. During the 2016 Spring-Summer season of the programme, for example, the following topics were treated: the story of the construction of the only atom reactor of Hungary; the construction of the Hungarian communist model city: Stalin City; the disco club culture during socialism; Hungarian illegal publications during socialism; political assassinations in Hungary after 1989. Non-Hungarian topics of the season were: an episode about the Beatles story; an episode about the cultural history of medical use of herbs; and an episode about the historic, psychological and sociological questions of finding the perfect mate.